Hello & Welcome to day 3 of What I eat in a day! I hope your Veganuary is going well & that you’re eating all the yummy foods! 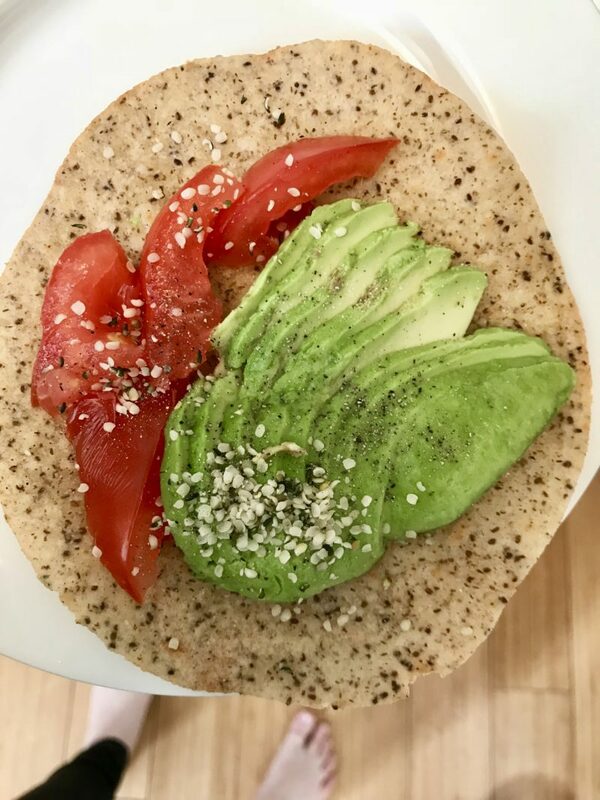 For breakfast this morning I had one siete grain free tortilla with avocado & tomato! I was also craving a smoothie so I decided to make one regardless of the fact its damn freezing in NYC! 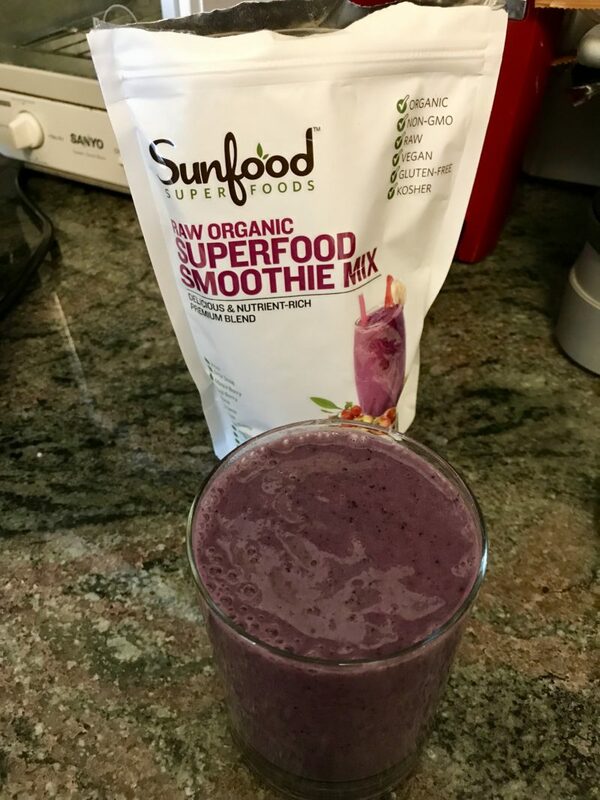 I used 1/2 cup frozen cauliflower (trust me), 1/4 cup frozen wild blueberries, 1/2 banana & 1 tablespoon of this Sunfood superfood smoothie mix! It was so delicious! I am about 1 day away from my period because I am PMSING like NO OTHER! Bareburger just started to serve the IMPOSSIBLE BURGER as a Vegan option and I am so excited! 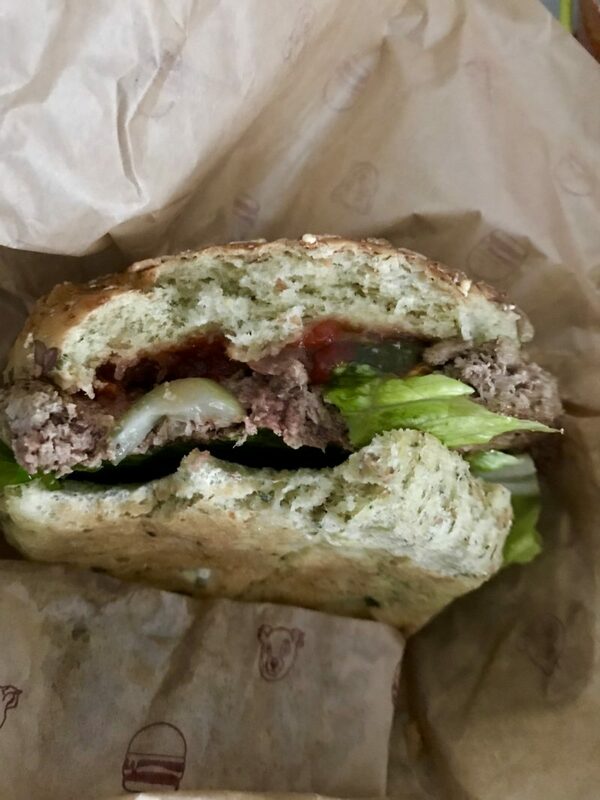 I live fairly close to a Bareburger so I had it delivered because I was having a service done to my oven today. Verdict: It’s really good! It fell apart quite easily though when the beyond meat burger doesn’t. It has a very meaty taste and I liked how it wasn’t super thick. I am thinking maybe if I got it at the restaurant it wouldn’t have fallen apart but I was wondering if it was from the cooking process? Regardless, it was really good and I definitely will get it again. Note* The sprouted bun is vegan – not all of their buns are. 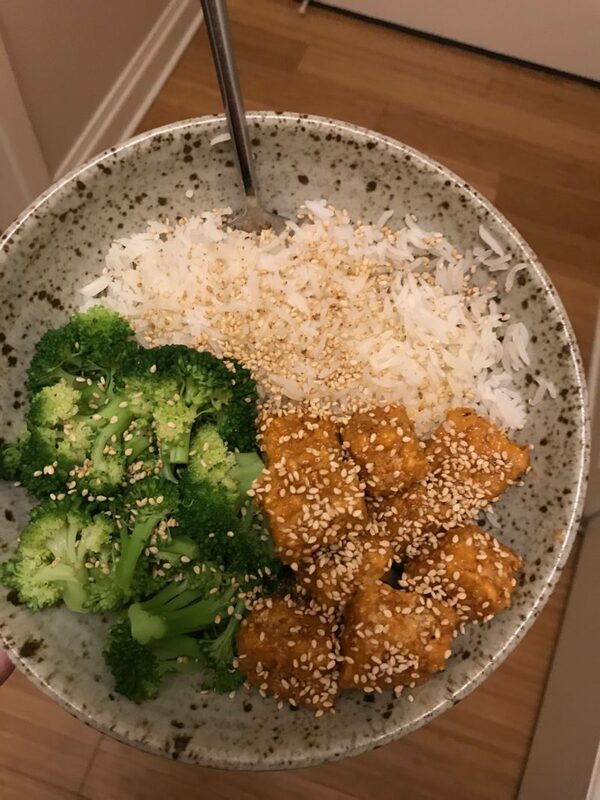 For dinner I made my bang bang tofu! If you want the recipe click here.